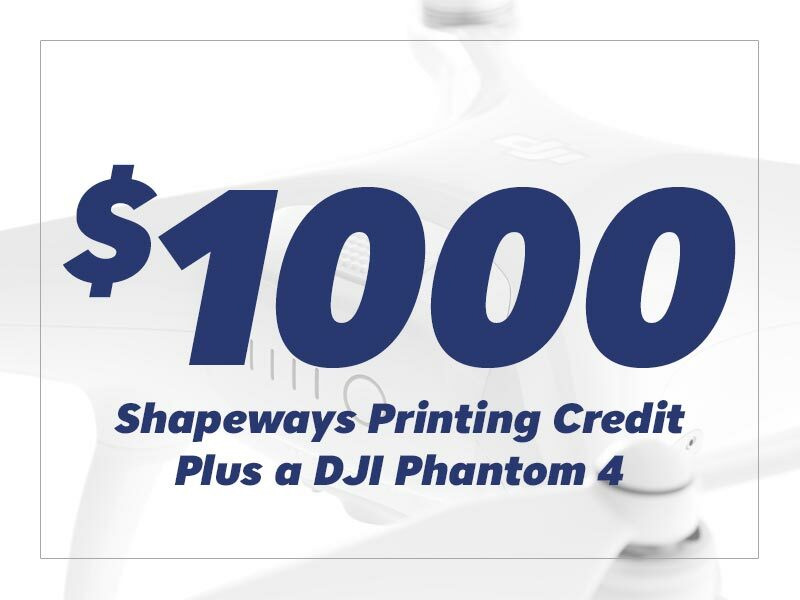 Win a DJI Phantom 4 and $1000 in Shapeways 3D printing credit! 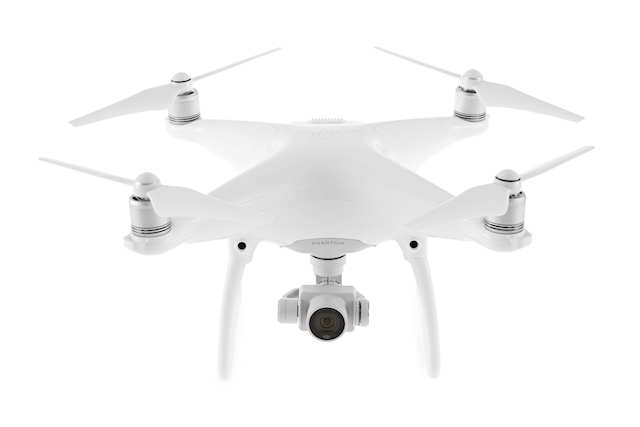 DJI’s Phantom 4 with its sleek body, integrated camera and long range make it a search drone for everyone. 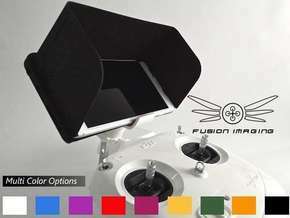 Now you can turn it into the ultimate rescue drone. 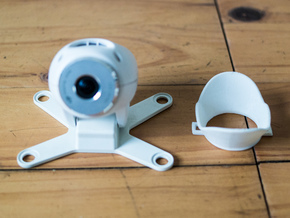 Shapeways and DJI challenge you to re-design water search and rescue. Severe weather and rough waters are classic hallmarks of ocean rescue, complicating an already challenging rescue operation--finding a small body in a large body of water. By adding 3D printed accessories that can improve the drone’s visibility, carry payloads and land on water, first responders could cover more area, cutting response times while monitoring hard to navigate waters. 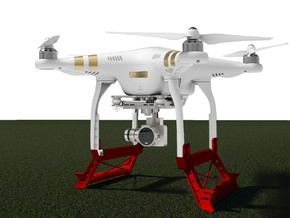 More lives would be saved, and fewer first responders put at risk, all thanks to your 3D printed drone modification. Your Goal: create a 3D printed accessory that attaches to a Phantom drone which can aid first responders in their search and rescue efforts. The Grand Prize winner and three runner ups will be announced at the New York City Makerfaire, October 1, 2016 and their designs demoed live on site before being donated to a California fire department. 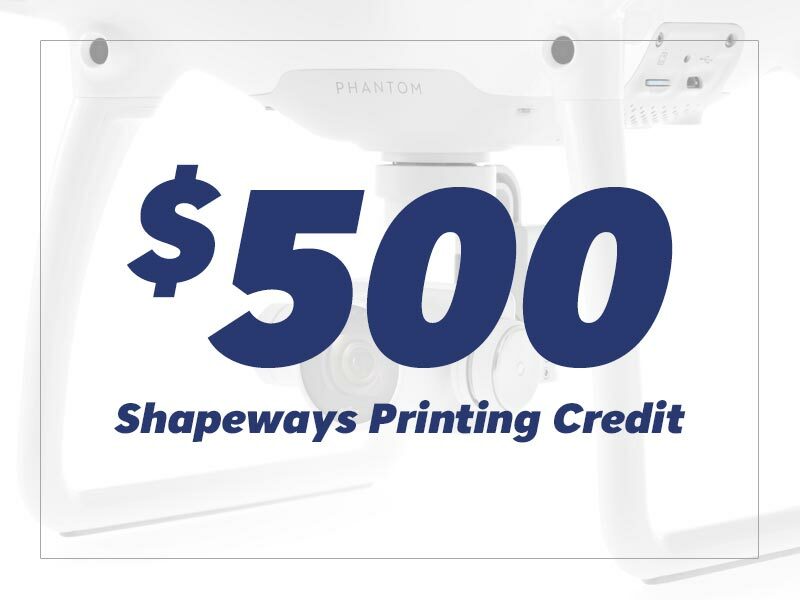 Grand Prize winner also gets $1,000 in Shapeways printing credit and a DJI Phantom 4 drone. Runners up get $500 in Shapeways printing credit. 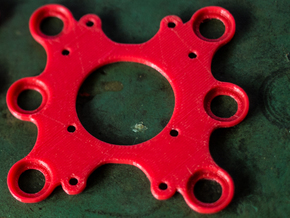 To enter, submit your design to Shapeways site by July 15, 2016. See How. Will choose the Grand Prize winner and three runners up. 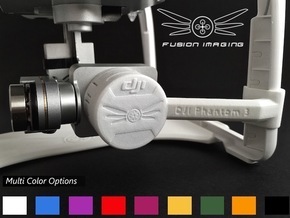 Using your favorite 3D modeling software, design a drone accessory for the DJI Phantom 4 or an earlier DJI Phantom model that can assist public safety in their roles.You may use 3D scanned assets found here of the DJI Phantom 4 to download as a template. In your model's 'Description' field, tell us about your design. 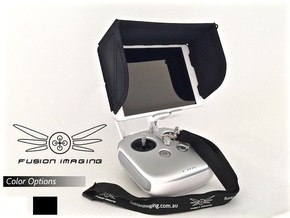 Include why it enhances a drone, how it aids first responders, and instructions on how to attach it to a drone. 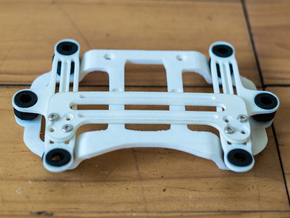 If the accessory requires additional non-3D printed parts you will need to provide those independently and be able to assemble yourself. Eligibility. This contest is operated by Shapeways. 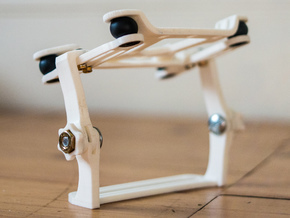 It is open to Shapeways users in the United States, Canada (except Quebec) Australia (Except Tasmania) New Zealand, The UK, The Netherlands and Germany. Applicants must be over 13 years of age at the time of entry who live in a jurisdiction that does not prohibit this contest. Employees, officers, and directors of Shapeways or DJI and their immediate family are not eligible to enter. Judges of this contest and their immediate family are not eligible to enter. Individuals may enter more than one entry into the competition but may not do so by way of automated means. By entering this contest, you agree to be bound by these Rules. All entries must comply with and are bound by the Shapeways general Terms and Conditions. Prize. 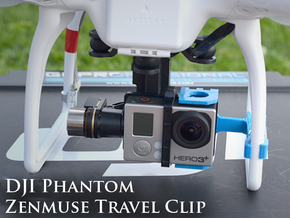 The winning entrant will receive a DJI Phantom 4 and $1000 in Shapeways credit. 3 runners up will receive $500 in Shapeways credit. Contest period. This contest is open from 12:00 PM ET on May 20, 2016 to 11:59 PM ET on July 15, 2016. All entries must be received by 11:59 PM ET on July 15, 2016. How to Enter. Entries must be publicly available models in the entrant’s ShapewayWinner Selection. Shapeways will select the winner from the pool of applicants on October 1 2016. There will be only one grand winner and three runners up. Shapeways will be prepared to award the grand prize to a runner-up in the event the winner cannot be contacted in a reasonable amount of time. Shapeways will determine the winner based solely on their individual aesthetic and intellectual judgment as to how well the entry meets contest criteria. In the event of a tie, the entry that is deemed to be most useful to first responders will be declared the winner. Winner notification. 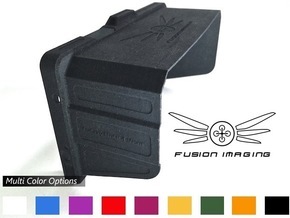 The winner will be notified via the email in their Shapeways account. Upon contact, Shapeways may need to obtain confirmation of the winner’s eligibility. If Shapeways cannot contact the winner through the contact information in their Shapeways account in a reasonable amount of time, a runner-up will receive the prize. If a runner-up cannot be contacted, Shapeways will select a third place finisher to receive the prize. Retention and Assignment of Rights. Entrants retain the copyright in their entries. By entering the contest, entrants grant Shapeways an irrevocable, perpetual, sub-licensable, and royalty-free license to use the entries for promotional purposes. Taxes. The winner will be solely responsible for paying all federal, state, and local taxes that may be due on winnings and, as a condition of receiving the prize, Shapeways may require the winner complete tax documentation. Liability and Jurisdiction. All federal, state, and local laws and regulations apply; void where prohibited. All disputes arising out of or connected with this Contest will be resolved exclusively by a court located in Manhattan, New York, USA. Decisions by Shapeways regarding the interpretation of these rules are final. 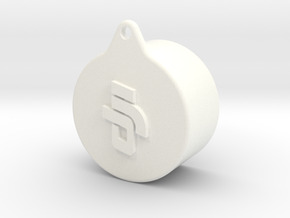 By participating in this contest, you agree to release Shapeways and its agents from any and all liability, claims, or actions of any kind of injuries, damages, or losses to persons and property which may be sustained in connection with the receipt, ownership, possession, use, or misuse of any prize. Shapeways reserves the right to amend these official rules and to permanently disqualify from this contest any person it believes has intentionally violated these official rules. Shapeways reserves the right to suspend or cancel this Contest in the event of hacking, security breach, or other tampering. 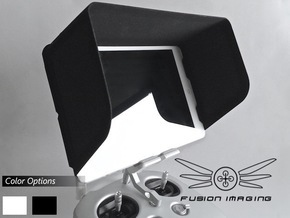 Any questions regarding this contest should be directed to Community@Shapeways.com. Additional Considerations. Sponsors are not responsible for (i) any typographical or other error in any communication relating to the Contest; (ii) lost, illegible, late, misdirected, or incomplete, entries or emails; (iii) interrupted or unavailable satellite, network, server, Internet Service Provider (ISP), websites, telephone, cable or other connections; (iv) any technical failure or jumbled, garbled, corrupted, scrambled, failed, delayed, or misdirected transmissions; (v) hardware, software or network malfunctions; (vi) other errors of any kind whether human, mechanical, or electronic; (vi) any damage to Participant’s or any other person’s computer resulting from participation of the Contest or downloading or uploading any materials. Sponsor reserves the right, at its sole discretion, to (a) abbreviate, modify, suspend, cancel or terminate the Contest, without notice or other obligation, in the event that Sponsor is prevented from continuing with the Contest or the integrity or feasibility of the Contest is undermined in any respect, including due to fire, flood, epidemic, earthquake, labor dispute, tampering or other unlawful act, or if, in the sole opinion of Sponsor, the Contest is not capable of running as planned by reason of infection by computer virus, worms, bugs, tampering, hacking, unauthorized intervention, fraud, technical failures or any other causes which, in sole opinion of the Sponsor, corrupt or affect the administration, security, fairness, integrity or proper conduct of this Contest; (b) determine winners from entries received prior to action taken, or as otherwise deemed fair and equitable by Sponsor; and/or (c) disqualify any individual it finds to be tampering with the entry or judging or process or operation of the Contest.